I/O is just a couple of weeks away… 9 days to be exact! As we get closer, we know many of you are excited to start customizing your I/O schedule so that you can make the most of the three festival days. 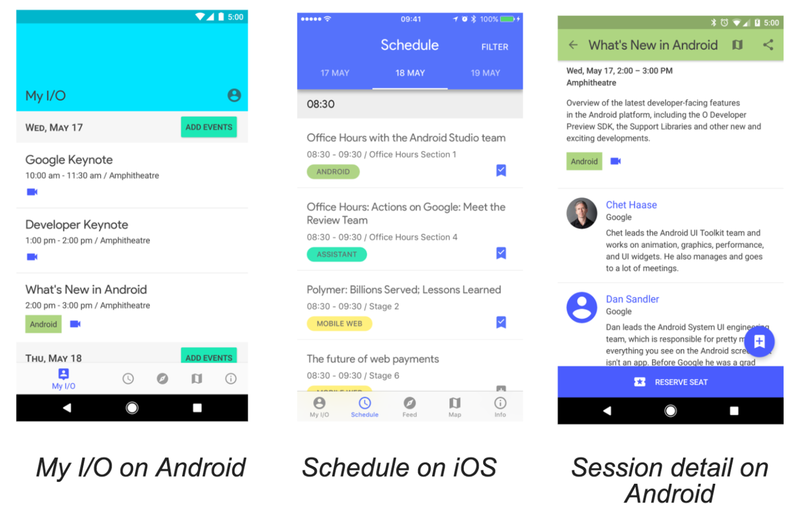 In addition to customizing your schedule on google.com/io, you can also navigate through our 150+ technical Sessions, hundreds of Office Hours, and dozens of Codelabs via the Google I/O 2017 mobile app, available now for Android and very soon for iOS. Browse, filter and find Sessions, Office Hours, Codelabs, and App Reviews across 14 tracks. All sessions will be livestreamed this year and you can access the livestream channel or the session recording after the fact in the respective session detail screen. 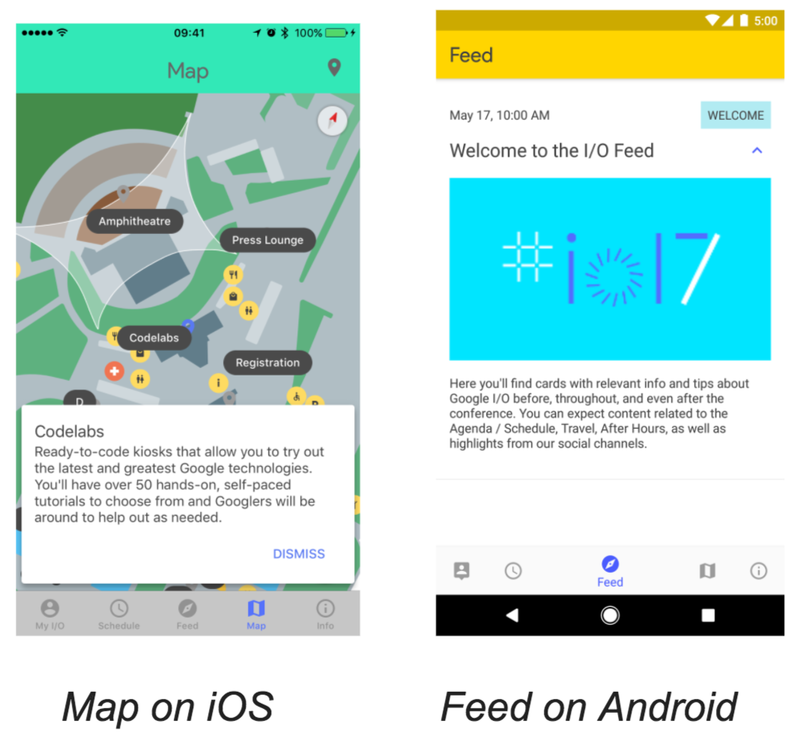 This is where you’ll find all your saved #io17 events. To make things easy for you, these will always be synced from your account across mobile and desktop, so you can switch back and forth as needed. And since we know May 17-19 will be quite busy days, we’ll send you reminders right before your saved sessions are about to start. Exclusive for onsite registered attendees: To help make it easier to attend your favorite talks and minimize lines, you’ll be able to reserve seats for sessions in advance of I/O via google.com/io AND our mobile app – as long as you’re signed in with the same email address you used to register for the festival. You can reserve as many sessions as you’d like per day, but only one reservation per time slot is allowed. Reservations will be open until 1H before the start time for each session. If a particular session has already reached the reservation capacity, you can join the waitlist and we’ll automatically change your reservation status if any spots open up. A portion of seats will still be available first-come, first-served onsite. Reservations are open starting today via the Session detail screens on the Android app and on google.com/io/schedule. Note: Reservations will also be available on iOS once the app is launched. Read through the latest details and announcements about I/O. You can also opt-in to receive notifications from us about the event, so you don’t miss a thing! Guide yourself throughout Shoreline using the custom conference map. Find more information about onsite WiFi, our content formats, travel tips to get to Shoreline, and more. Under Settings, you can also set the timezone for the schedule and opt-in to receive notifications. Keeping up with the tradition, we’ll be open sourcing the app after I/O. Until then, start getting ready for I/O; we hope the mobile app will help you navigate the schedule and grounds for a great experience. See you soon!